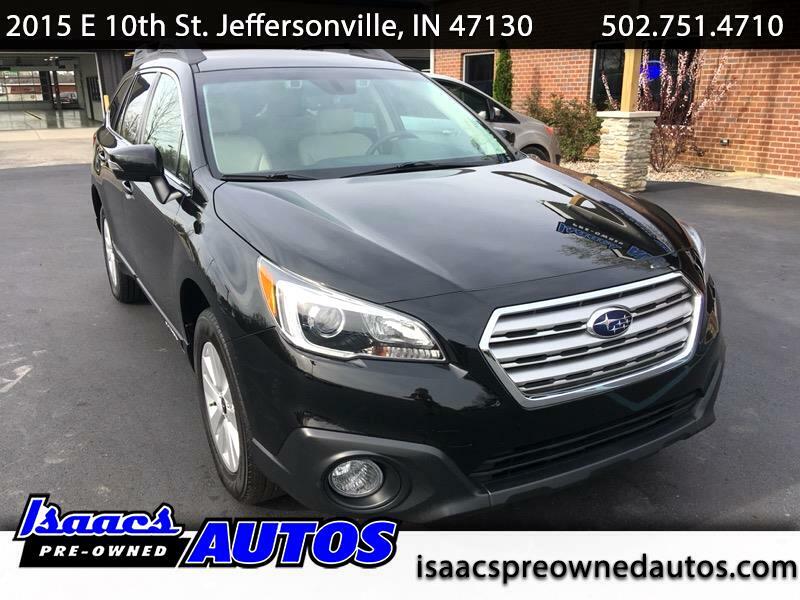 2017 SUBARU OUTBACK WITH EYESIGHT SAFETY EQUIPMENT PACKAGE!! CLEAN TITLE, CLEAN CARFAX, NO ACCIDENTS REPORTED, 1-OWNER!! WE SELL MANY OF THESE SUBARU OUTBACKS!! OUR LOCALLY OWNED FAMILY DEALERSHIP SELLS A SUBURA ALMOST EVERY DAY!! THIS WELL EQUIPPED OUTBACK IS ONE OF THE NICEST, BEST CONDITION OUTBACKS WE'VE EVER HAD!! VERY CLEAN, RUNS AND DRIVES EXCELLENT, SHOWS VERY WELL!! YOU WILL HAVE A HARD TIME FINDING ANOTHER SUBARU LIKE THIS FOR THE PRICE!! COME TEST DRIVE AT OUR JEFFERSONVILLE STORE!!! 3 MONTH 3,000 MILE LIMITED WARRANTY INCLUDED ON QUALIFYING VEHICLES, UP TO 5 YEAR EXTENDED WARRANTIES AVAILABLE!! !